Located in the northeast of England not far from Newcastle, Chester-le-Street is a town in County Durham. With a population of around 35,000, there’s a good range of affordable housing in the area. At My Home Move Conveyancing we’ve been developing our knowledge of the local property market since 2001, allowing us to bring our clients in Chester-le-Street an outstanding, specialist conveyancing service. If you want to buy or sell property in Chester-le-Street, you’ll need to instruct property lawyers to carry out the legal work on your behalf. 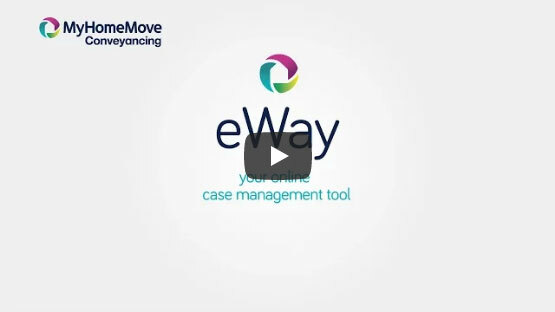 My Home Move Conveyancing can offer you award winning customer service, an innovative use of technology and a positive, passionate attitude to what we do. Our service comes for a fixed fee, so you’ll know exactly how much you’re going to pay from the beginning when you choose us as your Chester-le-Street conveyancers. What’s more, you won’t need to pay us anything if you don’t end up completing. We assign each of our clients a dedicated conveyancer who’ll look after your case from start to finish, providing regular, clear updates on the progress. At My Home Move Conveyancing we’re proud to have supplied our conveyancing services in Chester-le-Street to homebuyers across the local area, from those looking for something close to the town centre’s train station to places towards Waldridge Country Park and by the River Wear. The average house price in County Durham is £103,128, while in Chester-le-Street the overall average sale price over the last year was significantly higher than this at £147,798. Terraces properties were most popular in term of the number sold, and went for an average of £103,711. Semis fetched £145,350, while detached properties sold for £245,088. Chester-le-Street takes its name from the Roman fort which was built around the year 100 AD, and has lots of history to explore through medieval times up to the present day. With landmarks such as Lumley Castle and the historic church of St. Mary and St. Cuthbert, there’s lots to see around town. The Riverside Ground is home to Durham County Cricket Club, which has played host to international games too. There’s plenty of lovely countryside around Chester-le-Street which is great for walking, but the town is still conveniently located close to Newcastle, Sunderland and Durham. Chester-le-Street has its own train station, with services to Newcastle taking just over ten minutes and even less than that to Durham. The A1(M) passes just to the east of town, connecting Chester-le-Street to the national motorway network, while Newcastle Airport can be reached in just 20 minutes by car. There are some great schools in the local area for families with children to consider, including Chester-le-Street CofE, Cestria Primary and St. Cuthbert’s for younger children. The Hermitage Academy and Park View school are highly rated options at secondary level, while Newcastle and Durham both have respected universities if you’re looking for higher education. While most of the town is unparished, some areas fall under parishes that collect precepts. Figures are for unparished areas.